These come 12 per case and take a standard crown bottle cap (not included). In a cardboard case with dividers. Brown glass blocks out more light than green, making it the optimal choice for bottling homebrew. Dark beers also absorb more light than light beers, making it essential to store stouts, bocks, and the like in brown bottles. These EZ-Cap bottles feature a completely reusable swing top that makes it easy to cap and uncap your bottles - no tools or caps needed. The beautiful cobalt blue color is sure to impress. These bottles seal with a plastic, gasketed lid and a wire bale (included). They come 12 per case, in a cardboard case with dividers. These EZ-Cap bottles feature a completely reusable swing top that makes it easy to cap and uncap your bottles - no tools or caps needed. The beautiful cobalt blue color is sure to impress. These bottles seal with a plastic, gasketed lid and a wire bale (included). 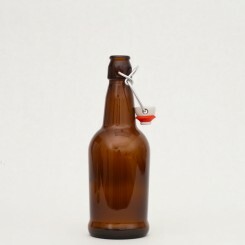 Our 1 litre brown glass bottles seal with a plastic, gasketed lid and a wire bale (included). They come 12 per case, in a cardboard case with dividers. 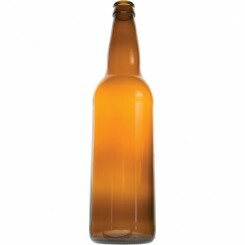 Our 1 litre brown glass bottles seal with a plastic, gasketed lid and a wire bale (included). Brown glass blocks out more light than green, making it the optimal choice for bottling homebrew. Dark beers also absorb more light than light beers, making it essential to store stouts, bocks, and the like in brown bottle. Our 500ml. brown glass bottles seal with a plastic, gasketed lid and a wire bale (included). They come 12 per case, in a cardboard case with dividers. Our 500ml. brown glass bottles seal with a plastic, gasketed lid and a wire bale (included). They come 12 per case, in a cardboard case with dividers. Brown glass blocks out more light than green, making it the optimal choice for bottling homebrew. Dark beers also absorb more light than light beers, making it essential to store stouts, bocks, and the like in brown bottles.